Rudy: A rooster on the property that just one day showed up and staked his claim on the land was one of the many creatures that roamed around. Though I had never really had an issue with him (I bribed him daily with food!) any time a new person came on the property, he would try to attack them. He was rather sneaky at it too, even going so far as to attack unsuspecting people who had been on the property before from behind! Many people had stories of their encounters with the rooster ending in bloodshed (on the humans part, not the rooster’s!) or very close calls. Luckily I was never one of them, so from my perspective it was extra entertaining to hear about others close calls! General wildlife on the property: goats (ham and cheese), burger the bull, bats, wallaby, kangaroo in the valley, snakes, huntsman, frogs, moths, bunnies, foxes, black cockatoos, parrots in the valley… the beauty of the wilderness that surrounded us daily was unbelievable and amazing!! 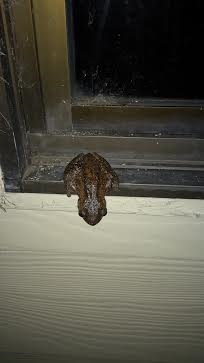 Dried bat: I had been used to (somewhat) encountering many a huntsman spider while opening and closing gates around the property as the sneaky buggers loved to hide out in the wood. They mostly stayed away from gates that were opened often, but ones that weren’t operated daily were havens for the gigantic arachnids. So one day while very cautiously going to open a seldom used gate, as the wood plank slid back and a giant fuzzy THING dropped out from the gate, I couldn’t help but scream and run away! Of course I was laughed at and for good reason that time… It turned out the furry thing that fell out wasn’t at all a huntsman, but a flattened dried, very dead little bat:( Poor buddy!!! Goodness snakes alive!!! I had about 6 close encounters of the slithery kind while on the farm. Luckily though they were only encounters with the shy red-bellied black snakes! While they are still quite poisonous to people and animals, thankfully their first line of attack was to simply slither away. My two most harrowing encounters go as follows: one evening while enjoying a cocktail (or two) as I was sitting outside, one appeared from under the truck heading directly toward me. I didn’t know whether to move or stay still! Options raced through my drunken mind as it got closer and closer. Finally I made my move and very slowly lifted my legs off the ground to the chair. Thankfully that was enough to alert the snake to my presence and it abruptly lifted its head, flipped 180 degrees in the opposite direction and scurried away! My closest encounter however was while I was walking across the lawn (again a wee bit intoxicated, though a different day). I was taking confident strides to my destination until I noticed a coiled red-bellied black snake not three feet in front of me sunning itself in the afternoon sun. We literally didn’t notice each other until we noticed each other! I stopped and squealed and it uncoiled at warp speed and hauled away from me as quick as it could, lol!! A wallaby sighting: in the valley around sunset it was a common sight to see several dozen kangaroos in the fields just off the main road. But never had I seen any ‘roos’ or their smaller counterparts in the mountains until one early morning while collecting one of the horses from their field. Normally this horse was always calm and relaxed as we walked out of her field, but on this day as we exited she startled quite abruptly and stared in wonderment behind her. While wondering what was wrong with her, I followed her gaze behind us only to spot a little wallaby at the entrance to her field staring back at us. We all stood frozen for a few moments checking each other out until the little guy hopped away. Very cool! Watching My Kitchen Rules with ‘S’ and getting drunk: I had discovered the TV reality show My Kitchen Rules while in Thailand and it quickly became one of my favorite evening shows to watch and relax to. I introduced my house mate ‘S’ to the show and it wasn’t long before we started making nightly ‘dates’ to enjoy our meals and company while watching the show together. Often times we would get (or already be) a bit tipsy on our drinks of choice and would laugh hysterically throughout the show with our added commentaries. Loved it! T’s account of Rudy’s beating by the farrier: Just the visual of this one still makes me laugh! T, a French rider at the farm, while very good at speaking and understanding the English language still had a few things here and there that he was learning along the way. The phrase “beat the $h!t out of…” was one phrase he was introduced to. It came about as the farrier told ‘T’ about how Rudy had attacked him relentlessly one day, forcing him to retaliate in self-defense. 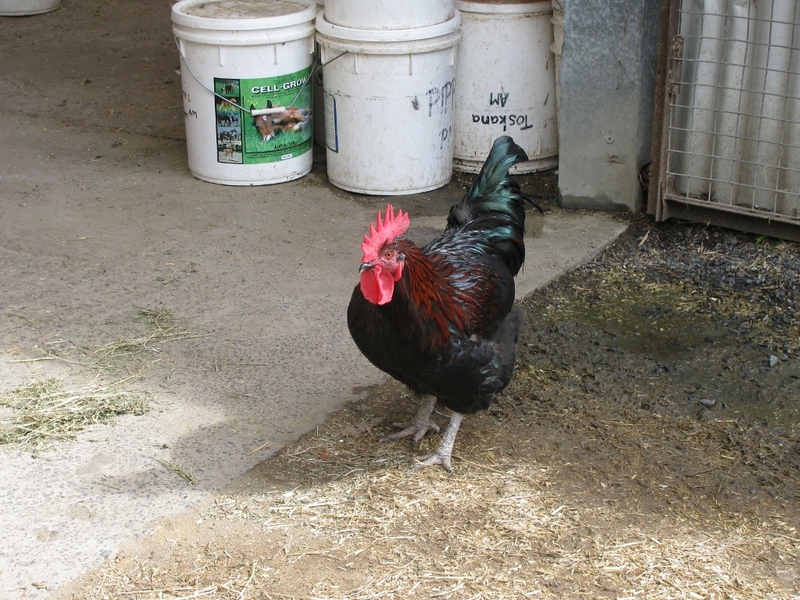 As the rooster continuously attacked the farrier, he defended himself by striking the rooster until one particular blow ended up knocking the rooster unconscious. Hence, the phrase “he beat the $h!t out of Rudy” became a new phrase in T’s repertoire, and his recounting of the story the farrier told him was simply hilarious, lol!! And don’t worry readers- Rudy is just fine!! He is alive and well and still attacks who and when he pleases! Listening to music on the front porch and talking for hours with A: ‘A’ was another groom I had the pleasure of working with. We had so much in common that I called him my male twin. Evening after evening we would sit on the front porch after a long day with drinks in hand and conversations for hours while listening to music from all ages and genres. One particularly fantastic night, ‘A’ put a blanket on the front lawn and we just lay there listening to music while watching a gloriously beautiful night sky, sparkling bright with every star from the heavens. Absolutely gorgeous! 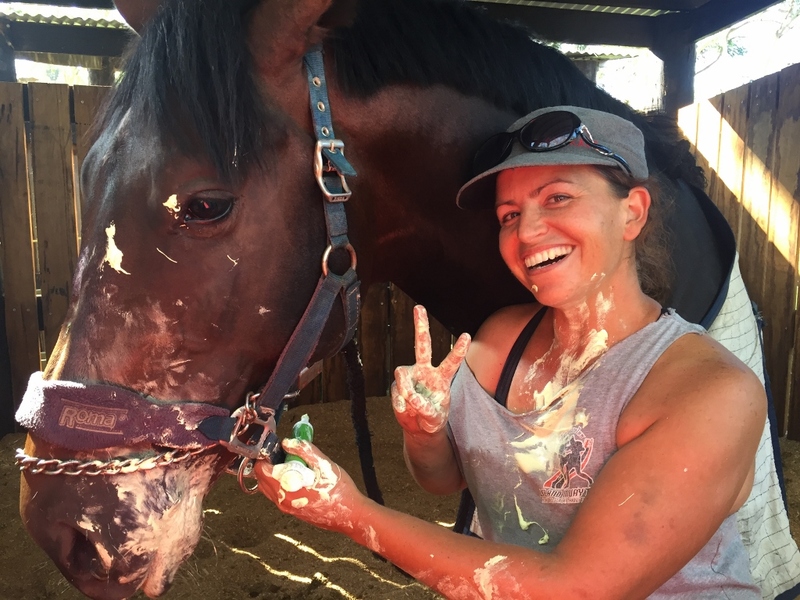 Jumping over jumps drunk: ok, so I’m noticing that many of my stories here involve drinking… But hey, there really wasn’t much else to do on the property after finishing with the horses and drinking just brings out the fun in myself and my company! On this particular night, it was myself, ‘S’ and the Australian ‘T’ who got our drinks on thought it would be a great idea to try to jump over the jumps set up for the horses! In all reality however, it was mainly ‘T’ who was doing the jumping while ‘S’ and I simply laughed our rears off while running around the arena. Good times!! Smokes falling asleep on my hands: One of the shows I had the privilege of being a part of was down near Melbourne and unlike previous shows, it was 4 days long. All our horses were doing really well and one in particular, Smokes (my nickname for him) made it to the final round as a contender for Champion of Champions. After his jumping round I stood on the sidelines holding him while watching the other contenders being ridden. Now, Smokes since I’d met him had a habit of always wanting to lick, whether it was our hands or arms. Normally I wouldn’t allow this behavior in case it led to a nip, but he had been such a good boy all weekend that I allowed him his guilty pleasure. I stood to his side with my hands clasped under his muzzle allowing him to lick the salt off while I watched the others do their course. A couple of minutes later I realized that his licks had subsided and that he was simply resting his muzzle in my hands. A few minutes after that I started to notice how heavy he was feeling in my hands… It was about then that I noticed his eyes were closed and his body had a very gentle sway to it… He had fallen asleep in my hands!! I gently woke him giving him some loving pats while whispering in his ear that the show was almost over. Bless him!! By the way, he did win the Champion of Champions! Worming a young stud: I think the picture says it all! While I thought he had swallowed, he apparently didn’t and instead spat all the medicine right back on me! Reconstructing my San Blas anklet: my anklet from the San Blas Islands had at some point come undone, so I made it a project to reconstruct. Since we had a road trip coming up, I brought it along to help kill time. What I wasn’t expecting however was how involved ‘T’ (Australian rider) got into the project himself! Along with providing helpful suggestions on how to make the slow and sometimes painful process of stringing hundreds of teeny beads on a teeny rope, he was also my cheerleader, egging me on to keep going and get the project done! It was on the leg back to the farm that I finally did complete the anklet and got it back to its place around my ankle. Of course there are many more, but since this post is getting rather lengthy, I will leave it at that!